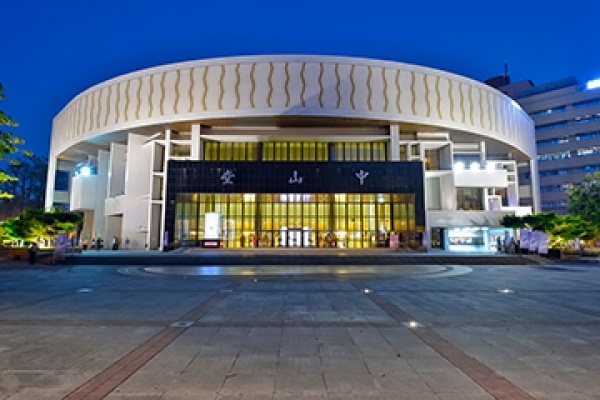 There is a high and spacious hall inside Taichung Chung Shan Hall ; the hall has the highest, deepest, and widest performance stage in Taiwan and a double-deck auditorium with a capacity of 1,654 seats. While equipped with international standard stage, lighting, and suspension system, it is a performance venue with the most perfect functions in central Taiwan. The place is always considered the first choice to be a performance venue for famous domestic and international performing groups. All six parking lots near Chung Shan Hall operate 24 hours a day. Rates are subject to change. Handicapped patrons may purchase 50% discount vouchers from ERA Ticket ONLY.